Rich Stallcup is a legend in his own time. Excepting only Guy McCaskie, the "godfather" of California birding, Rich is the most famous and prolific birder in the State. He was a teenager when he began birdwatching with a young Guy McCaskie in the early 1960s — before our period of review began — and he has continued to play a significant role in the State's birding world ever since. Rich has so many remarkable accomplishments that only a selected few are summarized here. In 2002, Rich was presented with the Ludlow Griscom Award for outstanding contributions to American ornithology by the American Birding Association. Rich was a founder of and is a current naturalist at Point Reyes Bird Observatory (PRBO). 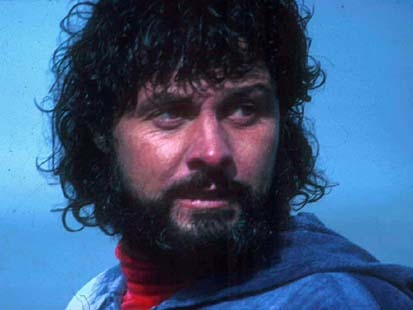 He was among the first team of birders to visit the Farallones, with both spring and fall visits in 1967. He was president of Western Field Ornithologists (1975-1978), and was an American Birds Regional Editor for 11 seasons. 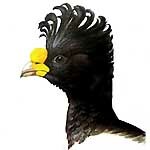 He served on the California Bird Records Committee for 8 years. 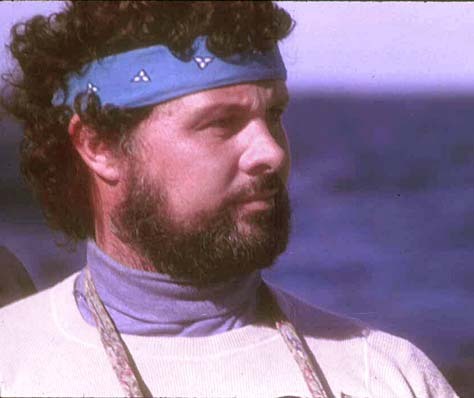 He was an original founder of the "Wings" birding tour company in the late 1980s (with Will Russell and Davis Finch), and has led bird tours throughout North America. He has been a leader for PRBO and other groups for many years, and his California bird tours must now number in the hundreds. Rich has been birding California for almost the entirety of his colorful life. He discovered many of the top vagrant traps on outer Pt. Reyes and elsewhere along the California. coast. His birding on Pt. Reyes is the stuff of mythology; he found or co-found ~90 first Marin County records. Rich has long held the highest lists for both Marin County and for Northern California as a whole. He has also participated in innumerable Big Days and Birdathons, many in support of PRBO, and has held numerous monthly and county Big Day records. He was one of the first to do a serious California Big Year, and in 1975 he broke all records with 450 species in the State, under the then-current 1957 AOU Checklist taxonomy. He has had a major impact wherever he has lived. Drafted in the Vietnam War era and posted to Monterey for a short time, he was soon a force there. He is associated with 18 first Monterey County records from as far back as 1967 (Broad-winged Hawk) to as recent as 2002 (Caracara). He has always had a serious interest in seabirds, and his Pelagic Birds of Monterey Bay (Stallcup 1976) is a classic; the paper has been reprinted as a booklet and is still in-print today. His Ocean Birds of the Nearshore Pacific (1990) is an exceptional introduction to sea-birding. Rich also took what he learned from teaching bird classes and leading bird tours to self-publish Birds for Real (1985), a detailed critique of the then-popular Robbins et al. (1966) Golden Press field guide. The many valuable points found in this booklet were overshadowed by the appearance of the National Geographic's field guide, but Birds for Real remains a great identification review even today. Rich was also an author of several species accounts in the 3 volume Audubon Society Master Guide to Birding (1983). Photo (above) at sea near the Davidson Seamount, MTY, 60+ miles offshore, 17 Nov 1979 © D. Roberson. It was on this boat trip that Rich, among others, spotted and then documented California's first Stejneger's Petrel. "Rich is the most talented field ornithologist I have ever encountered. His abilities are almost mystical. He has an extrasensory awareness about birds. He finds things where it would seem nothing would be present. There are some that may have a better knowledge of the literature, but in terms of natural talent, I have never seen his equal." Although I did not bird many times with Rich personally (aside from boat trips), I have a Rich "magic" story. It was a good day around San Diego on 17 Oct 1976. We had birded the Tijuana River valley and Pt. Loma (Philadelphia Vireo, male Black-throated Blue Warbler) and now the morning was over. There was quite a crowd of us standing around during the noon hour in Rosecroft Gardens — Guy McCaskie, Jon Dunn, Will Russell, Phil Unitt, Cliff Lyons, Brad Schram, and Rich. The day had gone well and we were now basically spent and just chit-chatting, Rich included. But somehow Rich had his bird antennae out, and at 12:30pm he pointed out a Gray Catbird — a serious State rarity on the CBRC review list — sitting quietly in the bush right next to all of us! Any of us "could" have found that rarity — but it was Rich who did. In fact, had Rich not been there, I'm sure that particular Catbird would have gone unrecorded. Coming of age in northern California during the Vietnam War era and its protests, Rich was naturally drawn to the counter-culture world for a time, and has amazing stories to spin. He knew and partied with some of the icons of that time. His life deserves a full biography. Rich could also spin many a story within the birding world, or the natural world in a larger sense, as Rich is an expert on herps and dragonflies and other life besides birds. I recall a night around a campfire in the desert during which Rich was telling tales of tarantulas and rattlesnakes. These were like the best ghost stories ever, and we all snuggled down in our sleeping bags with them in mind. Joe Morlan was with us, and during the night he felt something at the foot of his sleeping bag. Sure it was one of Rich's vividly-portrayed snakes, he lashed out to kick it away — and broke his toe on the offending rock next to him! It was not particularly funny to Joe at the time, but Rich does cast a long shadow. Since 1982, Rich has penned a series of identification pieces for the PRBO Newsletter, each of gem. I've found these written sketches of our local birds to be as useful as any literature in learning those species. And Rich has a way with words, exemplified by some of his titles: the "Gnat-kings" [Empidonax flycatchers], the "Spotty Thrushes" [Catharus thrushes], or the "Eye-ringed Leaf-gleaners" [Hutton's Vireo vs. Ruby-crowned Kinglet]. I hope these are collected together as a book someday. Rich has the soul of a poet, the mind of a scientist, and the spirituality of a shaman. This is not a combination of talents often found in a birder. If Rich hasn't seen the vision, he sure as hell knows where to look for it while the rest of us mortals are stumbling around trying to find out what the hell it is all about. You always felt like a contact hitter when birding with Rich. You always knew at any moment he could put one out of the park. I suspect that it is the same feeling professional athletes get when they are in the same game with a Barry Bonds, a Jerry Rice, or a Michael Jordan. You know that you are in the presence of someone extraordinary; someone that has an ability that completely transcends that of an ordinary player. Rich's influence goes well beyond just identifying birds, he has become a part of the flow of life itself, part of the essence of what animates the natural world, and he understands that world from that very unique perspective. Placed in that context, the ability to identify birds isn't really very important, it is all rather clinical. To those who have been fortunate enough to know him, Rich leads you to a higher purpose through birding; an understanding of your spirit. Binford, L.C., and Stallcup, R.W. 1972. American Redstart breeding in California. Calif. Birds 3: 87-90. Stallcup, R.W. 1976. Pelagic birds of Monterey Bay, California. West. Birds 7:113-136. Stallcup, R. 1985. Birds for Real. R. Stallcup, Inverness, CA. Stallcup, R., Morlan, J., and Roberson, D. 1988. First record of the Wedge-tailed Shearwater in California. West. Birds 19:61-68. Laymon, S.A., Evens, J., and Stallcup, R.W. 1990. Distribution and abundance of the California black rail in south-eastern California. Rpt. Calif. Dept. Fish & Game. Stallcup, R. 1990a. Ocean Birds of the Nearshore Pacific. Pt. Reyes Bird Obs., Stinson Beach, Calif.
Stallcup, R. 1990b. Life in the California current: excerpts from Ocean Birds of the Nearshore Pacific. Birding 22: 272-275. Stallcup, R., and Terrill, S. 1996. Albatrosses and Cordell Bank. Birding 28:106-110. Patten, M.A., Bailey, S.F., and Stallcup, R. 1998. First records of the White-winged Junco for California. West. Birds 29: 41-48. Howell, S.N.G., Lindsey, T., Stallcup, R., and Forshaw, J. 2000. Nature Company Guide to Birding. Time-Life Books, New York. All photos © to photographers identified on this page; all rights reserved. All text © Don Roberson; all rights reserved.